Now, on to today's card. This is a card that is using products that are not going to be available after June 2nd. 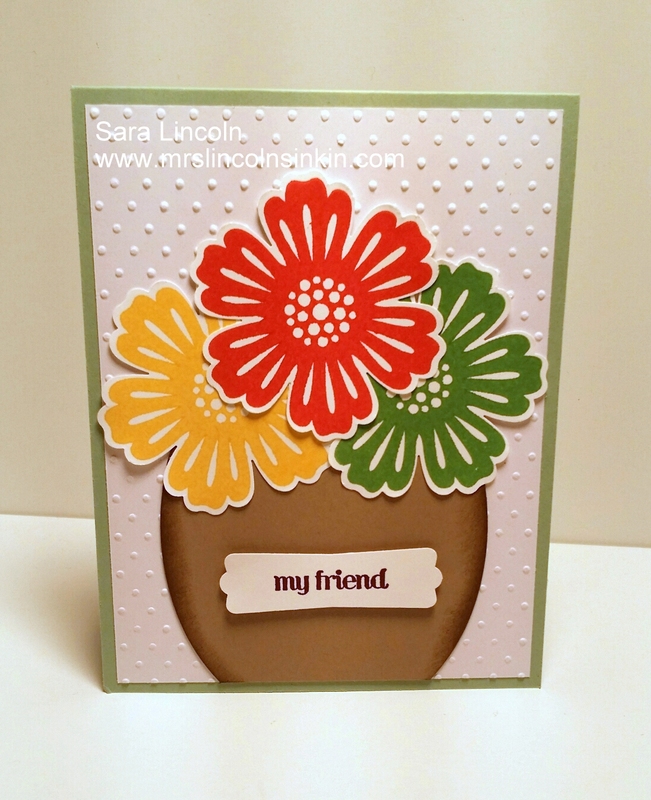 The Mixed Bunch stamp set and the coordinating punch called Blossom Punch. 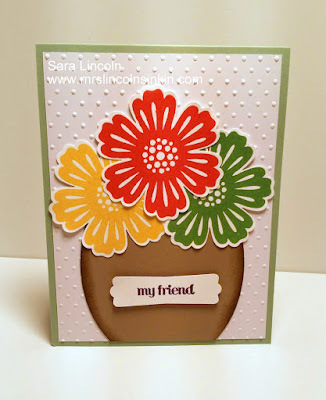 This is a card that I saw on Pinterest and had to make one of my own. Of course, I changed a few things around but it is still the same concept. I love it!! !